Recovers deleted email files, folders, calendars, contacts, tasks and notes from Outlook®. Data Recovery Professional finds the important work and memories you thought were lost for forever. Data Recovery safely recovers deleted files, photos, email, music videos and more in just one click. Recover your data effortlessly and avoid future headaches by creating mirror copies of your existing drives. Permanently erase files, folders and Internet traces beyond recovery. Step 1: Choose the type of files to find. Recovers deleted data, files, photos, emails, music, lost partitions & more. Step 2: Select the drives to look for the files. 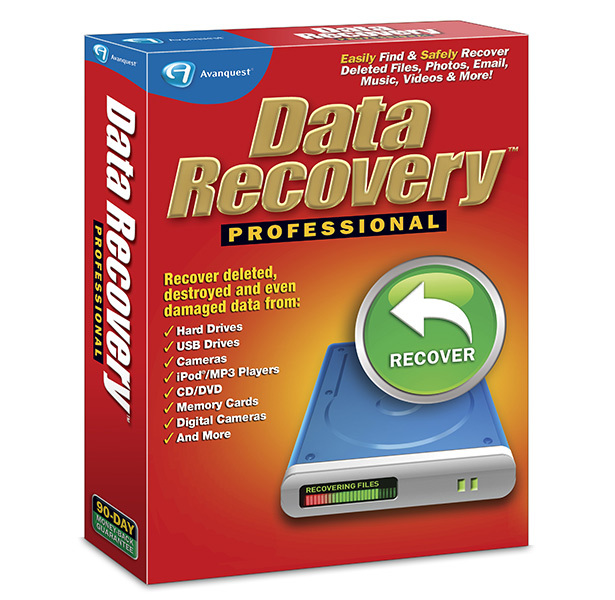 Recover from hard drives, USB drives, cameras, iPod®/MP3 players, CD/DVDs, memory cards, digital cameras and more! Step 3: Recover the files found in one click. Recover from drives, cameras, music players, CD/DVD, memory cards and more. Recovers RAW picture files from digital cameras such as Nikon, Sony, Olympus, Kodak, Cannon, Fuji, Minolta, Sigma & Pentax camera cards. Losing files is easy, luckily getting them back doesn't have to be complicated. 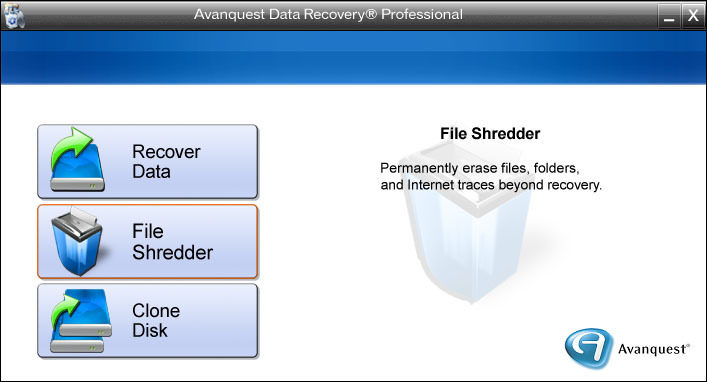 Avanquest’s powerful recovery tool searches for and restores files that have been accidentally deleted or lost from Windows recycle bin, a virus infection, an unexpected system shutdown, hacker attacks or a software failure. Accidentally deleted an important email? With Data Recovery Professional, you get a second chance of rescuing your deleted emails. Data Recovery Professional recovers files, folders, calendars, contacts, tasks and notes from Outlook. Data Recovery Professional’s user-friendly interface takes the guesswork out of a data recovery process by offering a guided step-by-step wizard. Data Recovery Professionals provides the ability and flexibility to search for deleted files using a variety of filtering options. The displayed search results provides a preview of the information that is about to be recovered. Data Recovery Professional works with most media storage devices including hard disk drives, USB flash drives, Digital Cameras, MP3 players, and more. 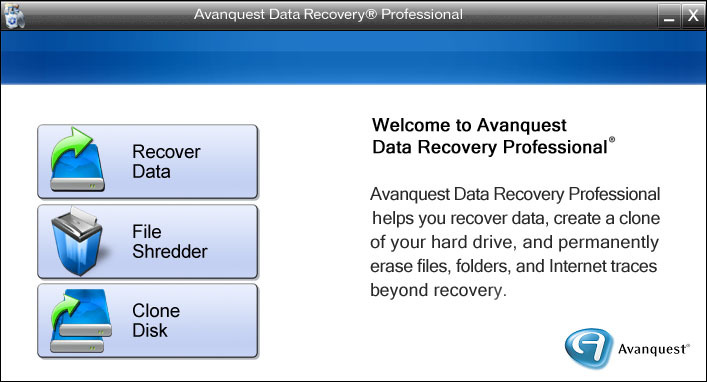 Data Recovery Professional’s easy-to-use, one-click solutions make data recovery fast and easy. Data Recovery automatically finds lost files so you can get back to work in minutes.